Since it comes with an absolute sensor built in, external sensors such as the home sensor and the limit sensor are not needed. By not using external sensors, the following effects are achieved. Sensor costs, electrical design time, cable costs, and maintenance costs can be reduced, leading to lower system costs. 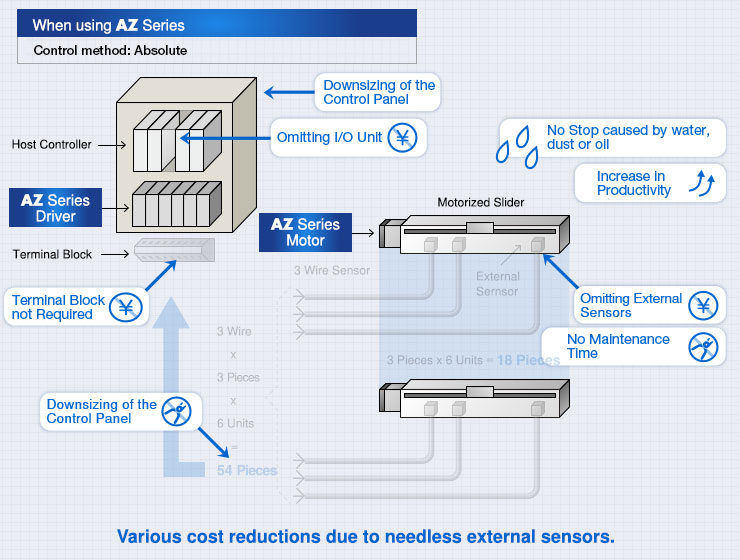 There are no sensor-based equipment stoppages due to water, oil, dust, etc. 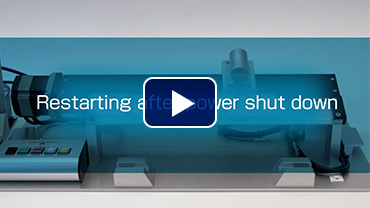 As a result, equipment down times can be eliminated, contributing to improved productivity. With the conventional return-to-home method, return-to-home is carried out using external sensors such as the home sensor and limit sensor. The stopping accuracy of return-to-home using sensors is affected by the return-to-home speed and sensor detection specifications. It takes time and costs to stop accurately as a result of low speed operation after sensor detection, the use of highly accurate sensors, and so on. "With the AZ series, no external sensors are used, so high-speed and highly accurate return-to-home is possible. 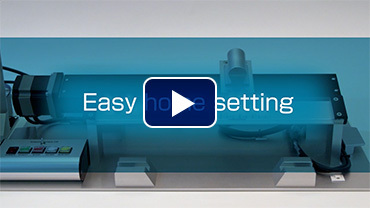 This can shorten the return-to-home time and improve home stop position accuracy. The home position can also be easily set, shortening start-up time." ● Because the positioning information is stored in the ABZO sensor, the home position must be reset if the motor is replaced. Position information can be detected with the ABZO sensor even without a battery. Therefore, position information can be retained, even if the power is turned off or the cable connecting the motor and driver is disconnected. Since no battery is required, no spare battery has to be arranged and battery replacement work is eliminated, leading to cost reductions. Position information can be retained in the equipment even if it is not used for a while, for example, when transporting the device over long periods, such as in the case of overseas shipments.  This removes the concern about problems such as resetting the data due to position information being lost. Since no space is required to house or replace a battery, the control box can be more compact if multiple devices are being used. If transporting batteries by ship or plane, the International Maritime Dangerous Goods Code (IMDG CODE) and International Air Transport Association's Dangerous Goods Regulations (IATA DGR) must be checked to ensure that the conditions are met. Since the AZ series does not use a battery, there is no need to perform these troublesome regulatory checks and procedures. Even if the power shuts down during a positioning operation, the positioning information is retained. Furthermore, for built-in controller types, positioning operations can continue without a return-to-home when recovering from an emergency stop of the production line or a blackout. This is particularly useful in the following cases. 2 types of drivers are available, depending on the master control system in use. I/O control, touch panel control, pulse control, and so on are possible to suit a variety of master control systems. With this type, the operating data is set in the driver, which can then be selected and executed from the host system. 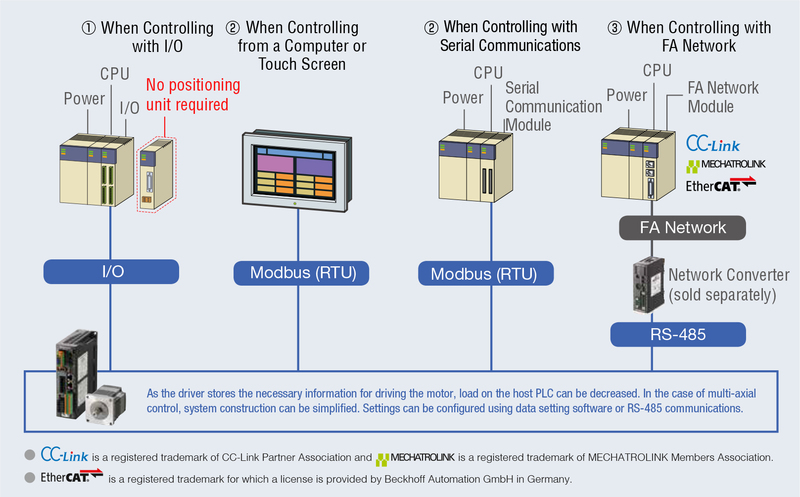 Host system connection and control are performed with ① I/O, ② Modbus (RTU)/RS-485 or ③ FA network. What is a Built-in Controller? A built-in controller is a driver that has a pulse generator function built into it. A separate pulse generator and positioning unit are not necessary, so space is saved and the system is simplified. A maximum of 256 items of data can be set. 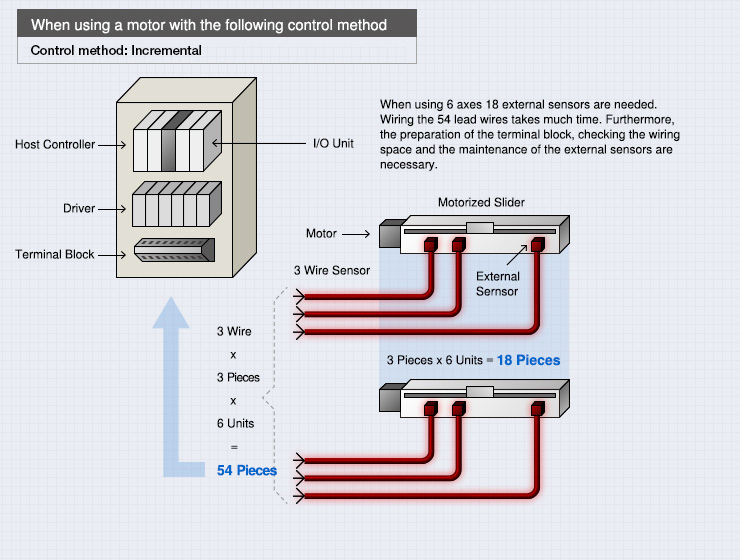 FLEX is the collective name for control motors and other such products that support I/O control, Modbus (RTU) control, and FA network control via network converters. These products enable simple connection and simple control, shortening the total lead time for system construction. This type executes operations by inputting pulses into the driver. Control the motor using a positioning unit (pulse generator) obtained separately.